Sam’s approach is simple; to keep his clients really happy during the sometimes difficult process of selling property. It’s often the little things he does that make his client’s referrer him over and over again. Sam is fanatical about answering / returning calls and pre-empting conversations with his sellers. Communication is one of his strongest traits along with; honesty, trust, skill, care, experience and service. As a licensed Real Estate Agent, Sam is a regular volunteer at REIWA Information Services Manning the phones assisting REIWA clients and members. He indicates that every day is an opportunity to learn in this industry & albeit he’s very knowledgeable about real estate he say’s “You can never stop learning”. Sam’s passion in Real Estate is derived from his grandfather and fathers developments/real estate transactions in the 1960’s to present day. He gets a real buzz from helping people to make smooth real estate transactions by passing on accurate information and fantastic real estate advice with honesty, trust, care & dignity. Personally; Sam is a happily married man with 3 beautiful young children who are his biggest achievements. Whenever he’s not selling property (or watching the football) he’s with them. As an active member of the community Sam has been involved with a variety of local clubs; Wanneroo Amateur Football Club, BMX Club, Horse & Pony Club and the Wanneroo Senior Citizens Club. Professionally; he’s earned the respect amongst his peers by having simple but effective processes in place for clients to have a great experience when buying or selling properties. Within the competitive Davey group, Sam is a regular entrant in the quarterly Top Five selling representative’s awards. He’s reached the top 5 sales representative annual awards in each category every year for well over a decade. His sales success isn’t isolated to within the Davey Group. Selling property in over 50 suburbs, amassing over 400 personal sale transactions with more than one hundred million dollars of sale value to date. Actions speak louder than words and not being one to promote his successes he’s more content to fly under the radar and let the great experiences of clients speak for him. You need only to read his Testimonials page, wow. As the Licensee/ Director & Sales Manager of Davey Real Estate Coastal, Sam along with his business partners have put together an extremely experienced and fantastic team that share in his dream of the model real estate office. Clients needn’t look any further if they’re looking for; honesty, trust, skill, care, communication, experience service and the support of a great company. Customer Service is what you’ll expect, with Sam. In 2015, Sam was inducted into the Peg Davey club after celebrating 10+ years of working with the Davey Real Estate group. Thankyou Sam for your beautiful card and donation. Mostly I want to thank you for sticking with Alison, I know that you carried her financially and it has been such a hard journey for her and that you have gone above and beyond to help her. You are amazing! I often think that our relationship started in a little old house in Girrawheen with no kitchen, questionable neighbours to say the least but you made all the changes happen, so I sincerely hope that you are proud of your achievements, I am certainly so very proud and grateful of you! Thank you for making my recent house purchase through Davey Real Estate Coastal such a positive, pleasant and smooth experience. The offer and sale was approved and settled in no time, 4 weeks to be specific. Every phone call and question was answered promptly and in a professional, knowledgeable manner. Furthermore the final inspection experience wasn’t daunting, (as I thought it may be), and was in fact the opposite with all issues addressed immediately. Sam your efficient and professional approach was very much appreciated and I would definitely recommend you and your agency. Awesome service! Sam and Kelly went above and beyond to sell my house in no time in a tough market. This was our first experience with selling and purchasing a new place at the same time. Our Agent was extremely helpful and open with his communication. He made time outside of normal hours to see us and was always contactable or returned messages at his earliest opportunity. We greatly appreciate Sam’s assistance in selling our property, which sold the first week on the market and believe Sam’s efforts in marketing the property were part of the reason for such a quick turnaround. The REIWA Information Line is one of the Institute’s most valuable services and handles around 20,000 telephone enquiries each year from both members and the public. This service ensures many enquiries and complaints are managed and resolved without the need for referral to the Department of Commerce or other jurisdictions. The value of this proactive approach cannot be underestimated. The REIQA Council is aware of the significant benefit that the Information Line provides and in particular the important role you play in volunteering, to assist the permanent staff in handling the daily enquiries. On behalf of the REIWA Council, I would like to personally thank you for your commitment to the institute and for your contribution to this valuable community service. Sam has been extremely helpful throughout our process in looking for a home. After settlement Sam coming to visit congratulating us on the successful settlement was a lovely thought. I would recommend Sam for top service if someone is looking for a home. Sam contacted us regarding the sale of the property as we already had an investment property next door. We put in an offer with his assistance and got the property. Sam and his team now manage our two investment properties for us. We look forward to a prosperous business relationship. I would recommend The Davey Team for buying, selling or for looking after your investments. You are fantastic at your job, your communication and continued work to get our home sold was everything we could have needed. Thank you for being a great friend & real estate agent. Karl and I would like to forward this thankyou letter in regards to Davey Real Estate being our property managers for over 3 years for our rental property in Landsdale. Our house in Landsdale has now been sold by your Sales Representatives at Davey in Wanneroo. It has been a pleasure to have a Real Estate Property Manager who continued to manage our property with a good tenant. You not only found this tenant to place in our property but have continued to keep a good tenant paying rent on time plus looking after our property inside and out. We have been very happy with the tenant who kept our house in such a good condition. Our home opens allowed by the tenant enabled a clean well-presented property to be shown to future buyers resulting in a sale. A very big thankyou to the tenant. Your office from Management to Reception have been very professional when a problem arises and a solution has been found in a short period. It is a relief to us as owners that we could trust our property to be managed by Davey Real Estate in a timely and efficient manner. It is not easy to find good property managers who strive to do the right thing by the owner of a rental property. I would recommend you to any future owners who are looking for someone to be a property manager. I anticipate great service when next I sell. As a buyer I found Sam friendly, knowledgeable and freely offering insightful advice. I look forward to working with Sam again. Having known Sam for a long time personally, I had the utmost confidence in his professional abilities. Initially, I felt as though I may be placing unfair, high expectations on Sam because I did know him personally. From the outset, Sam expertly guided me through my first property sale with the utmost in courtesy and professionalism. Sam obliterated what I believed were already high expectations and I could not be happier with the result. Sam was able to clearly explain the whole process regarding a property sale, given it was my first experience. He always made himself available both on the telephone and in person, and would not hesitate to come and visit me when I had queries or concerns. Sam’s knowledge and experience showed as he set realistic expectations based on a sound knowledge of my area as well as target market for the sale of my first home. Sam did not ‘sugar coat’ what he thought was a realistic price I could expect from the sale of my first home. He did not just tell me what I wanted to hear about the potential sale price of my home, rather provided realistic expectations based on knowledge of the area, target markets and his extensive experience. I believe Sam went over and above the call of duty by taking people through my house at times that were convenient with the prospective buyers – not just limiting visits to home opens. This is the level of service I would have liked to see when I was on the buying side of a property sale transaction and feel it really contributed to what was an excellent final result. I know Sam experienced some issues in executing the sale due to factors such as language barriers etc. However, I did not see or feel any of this as Sam took care of everything and kept me fully up to speed with the progress of the sale. I would not hesitate to recommend Sam to any of my family or friends (or anyone else for that matter) if they are seeking the services of a professional, friendly, efficient, down-to-earth and caring real estate agent. 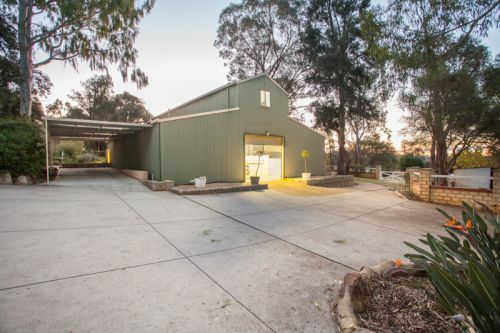 We have just sold our acreage property in Gnangara with Sam Hedges from Davey Real Estate. We have found that Sam was providing a caring and professional service with an at times difficult buyer. He was always in touch and very helpful. We would not hesitate to use his services again. “Sam was extremely helpful throughout the entire sale process; He is willing to go the extra mile to look after his clients. He kept us up to date every step of the way”. “The service I received from Sam was exceptional! He has incredible attention to detail, excellent follow-through and is extremely kind and personable, with his knowledge of the market and invaluable advice we were able to sell the house for an incredible price (above my expectations). Sam is outstanding, professional and I would and will recommend him as a great highly effective and reliable real estate agent”. It's my immense pleasure to recommend Sam Hedges from Davey Real Estate for anyone looking to sell or buy home. Sam is very professional, enthusiastic and talented agent. His advice - to finish the landscaping-made a huge difference in the process of selling and getting a great price for it. I found Sam to be a highly attentive agent, he returned all phone calls and emails the same day. He always kept me updating about my current situation. I never felt neglected or unimportant. I have no hesitation in recommending Sam Hedges to anyone looking to sell or buy a home. In my opinion, he is the best in the business and if I ever need to buy or sell again - he would be the first choice. From my first contact with Sam and through the entire process he was courteous, considerate and very understanding. He kept me informed throughout the process. An excellent result was achieved. I would recommend Davey Real Estate to family & friends without hesitation. I chose Sam Hedges to be my real estate agent for the sale of my rural residential property. facets of the process from start to finish. He also was patient with my process and worked for me through this process guiding me only. I am very happy and confident to recommend Sam to any property sellers and buyers. I cannot praise Sam enough for his dedication & patience with me having no knowledge of the process or what needed to be done. I had met Sam a few years prior when he gave me a valuation on the property. He was very honest, friendly & not at all pushy so when I finally made the big decision, he was the one I called. He walked me through the whole process including helping me find my new home & I am truly humbled at how much time he dedicated to both the sale of the property & purchase of Coachwood. I felt very supported & listened to though didn't enjoy home opens due to having way too many dogs & having to bundle them in the car to take to park! I remember when Sam rang me for an extra viewing rather late in the afternoon, I groaned as was already in my PJ's, but in the car we went, PJ's and all! That was the viewing that sold my house, so he deserved a big hug! I know, as does my family and friends, that without Sam, This journey would have been a lot more stressful & grey hairs. I trust him completely & will forever be grateful for looking after me so well. A true gent & I wish him & his family health & happiness always. Sam was polite, helpful and professional at all times. I was very impressed and would use Sam again should the arise for other real estate ventures. He was very considerate of our circumstances. In addition, our experience with Sam was above and beyond expectations and much more positive than experiences of friends who are selling via other agents. “I would like to take the opportunity to thank Sam Hedges for all the work he has done in the process of selling our house. He did above and beyond what was expected and always made sure I was informed on every detail throughout the process. Sam was always very friendly and worked hard to make sure our house was sold in the shortest possible time. He handled everything efficiently and professionally and his help is and is and always will be greatly appreciated. Once again, I would like to thank him for his assistance during this stressful time"
We would have no problems recommending Davey Real Estate and especially our agent Sam Hedges. From the very first meeting/appraisal Sam displayed an excellent knowledge of the market in general and specifically the local market. All aspects of the sale were carried out in a seamless and professional matter. The assistance provided by Sam with matters of the sale plus moving were and are very much appreciated. By my wife and I, this again made the “after sale” period much easier. Should we find that we need the services of a real estate company or recommends one we will have no hesitation in nominating Davey Real Estate and Sam Hedges. I wish to express my sincere thanks to Sam Hedges for all his help during the sale of my property. On first inspection he thought he had a buyer who might be interested in our property. He was correct and the house was sold with a week without a home open. Sam's advice was always appreciated and I felt he went the "extra mile" to help out. So much so that I immediately enlisted his help in the purchase of my new property, I was so grateful to Sam for his expertise and attention to detail. He handled all the negotiations for me in such a positive manner. I have no hesitation in recommending Sam to anyone else and will certainly use him again if needed. Sam has been excellent to deal with. I really felt that he was acting for us as well as the seller. He provided good advice/guidance to help everyone make this deal - and all before the home open! We have now agreed to let Davey R/E manage the rental on our behalf, so look forward to a continued relationship with your office! 'Sam acted on our behalf to sell our property. Sam appraised our property on a Friday morning. He then presented an offer to purchase the property on the Sunday afternoon following the appraisal. After some lengthy and difficult negotations on our behalf, Sam completed the sale on the Sunday afternoon, for the sale price we had requested. Whilst maintaining a friendly manner Sam was completely professional in his dealings with us. Regular updates on the process of the sale where received and very much appreciated. He was also able to advise us on the finer detail of what was required to complete the sale successfully. We recently sold our house for $20,000 over asking price, after only one home open, with the help of Sam Hedges, from Davey Real Estate. We met Sam a few years ago when purchasing our house; he was the selling agent. We were pleased with the way that Sam dealt with us as buyers and developed a good rapport with him, and as a result we enlisted Sam to be our selling agent for the same property years later. Photos and copy writing of our property were of the highest standard and we were very happy with the overall marketing approach. We held one home open and received three offers after that one home open. Two offers were within the ballpark that we were expecting, with one well exceeding our expectations - I believe this was a result of Sam's excellent negotiation skills. We accepted the highest offer and settlement occurred without any issues.We are so pleased with the outcome, and are grateful for all of Sam's help throughout the process. "I have recently sold my property, this could not have been achieved without the assistance of Sam Hedges, who from the beginning was the most helpful. He has been so efficient in dealing with any paperwork, arranging house viewings, and keeping me up to date. Nothing was too much trouble for him, and he was always most charming. I am indebted to Sam for selling my house in, not at the present, an easy market, in as short a time as possible. When my husband and I decided to sell our house we needed a Real Estate Agent and Sam Hedges came highly recommended. He was very professional and his advice and knowledge was fantastic. We were very fortunate to sell our home, at a price we were happy with, before it went to market thanks to Sams expertise. We would recommend Sam to anyone wishing to sell their home, thanks." I would like to take the opportunity to thank you for the outstanding service you provided in the sale of our house in hocking. From the outset, we were extremely impressed by your knowledge of market, the information available at your fingertips and your considered and realistic approach to selling property. You were persistent in pursuing the contract to sell our house, but in a way that helpful and considerate, rather than rude and obnoxious like most other estate agents. it was obvious that you enjoy what you do and are very good at it. We had no hesitations in asking you to be our agent when we made the decision to sell our house. You set realistic expectations and certainly under promised and over delivered in terms of the sale of the property. The results speak for itself in an offer on the first home open which far exceeded our own expectations and that we happily accepted. Thank you for keeping us well informed during the settlement process and the awesome gift hamper as well! “I have known Sam for approximately 10 years now, and during that time have utilized his professional services to facilitate the sale of my property. During the time in which we held a professional relationship, he always remained professional and never failed to keep me informed, even when there was no real news to tell. Other agents I dealt with at separate times were telling me to drop the price of the property or increase the advertising spend, where Sam told me that the price was right, and always had people moving through the property, which eventually saw the property selling for a price we were all happy with. "It is my great pleasure to share with you my impressions and appreciation for the work of Sam Hedges. I am currently sitting in my home office in the house we fought long and hard to buy and Sam was integral in bringing our dream to fruition. My partner, Kestin and I would like to commend Sam on his conduct throughout the purchase of our new home and we would recommend him without hesitation to anyone. Kestin and I are far from experienced in buying property, so Sam explained our options each step of the way in simple English but with clear understanding of the consequences of our choices. This purchase was a very difficult, lengthy process and an incredibly trying time. Sam was a rock. He was supportive, empathetic and always reassuringly professional. Working with Sam through this process was one of our only comforts and we owe him much gratitude. Thankyou Sam. We hope you find great success, the best of luck and enjoyment in your future." I would like to thank you sincerely for your assistance and professionalism when I recently purchased a property through yourself. At our very first meeting you were friendly, approachable and informative about the property I was viewing at the home open, and offered your assistance to me to view other properties at the time suitable to me. You were flexible with times to view home opens, and this is a great advantage to me as a shift worker. I greatly appreciate your open and prompt communication in regards to all matters and questions asked. Your advice and constant updates or feedback was extremely valuable. “I am pleased with the assistance and help that I have received from Sam Hedges. He was most courteous and very helpful, especially as he had some difficulties with the clients purchasing the property. “Russ and Bev want to thank the company for the very pleasing manner with which the sale of our home was conducted. We especially want to commend Samuel for his dedication to the business side of the deal without putting pressure on us at any time during the whole process. It was a delight to do the business with him. We are now settled into our new home and we will certainly commend the company to anyone wanting to sell a property. “By the way of this letter we would like to congratulate one of your reps, Samuel Hedges, on the success of the very quick sale of our property in Woodvale. Sam's appraisal for our property was "spot on" in that the first weekend of opening the property had two offers, one of which we accepted. He worked the negotiation with the purchaser on our behalf and we received the optimal price range for our property, which we didn't expect to receive with such an early offer. At all times Sam was efficient and caring and was always responsive to our calls immediately. On one occasion when vandals had removed our "Under Offer" sticker, we rang to report this to him and within 5 minutes he had arrived with a replacement sticker. This is an indication of the dedication he has to his clients. Davey Real Estate's professionalism is outstanding and all staff we encountered was friendly and well informed regarding our property. Once again congratulations to you all, especially Sam who presented us with a beautiful gift on settlement of our property and took the time to really get to know us. Well done Sam. “During December 2004 to February 2005 I completely renovated a rental property in Greenwood prior to selling. At that time I was unsure of the best method of selling the property and sought advice, guidance and quotes from several real estate agents operating within the area. Following on exhaustive analysis of the various proposals I settled on the one prepared by Samuel Hedges. The main reason for this was the professionalism displayed by Sam on the market appraisal and subsequent marketing plan. Sam took a very bold stance in assessing the value of the property which from other indications and alternatives was some $20,000 above "the going rate". At all times Sam was courteous, friendly, and professional and certainly had my interests at heart. It was refreshing to note, when there appeared to be very little action and interest in the property, that Sam was open to, and sought my suggestions on alternate marketing strategies. Sam's attention to detail, his exemplary behaviour, coupled with his people skills makes him very suited to his career choice. I have no hesitation in recommending Sam Hedges to any prospective buyers or sellers or properties. Should the opportunity arise I would use Sam's expertise in any future property deals in which I may be involved. 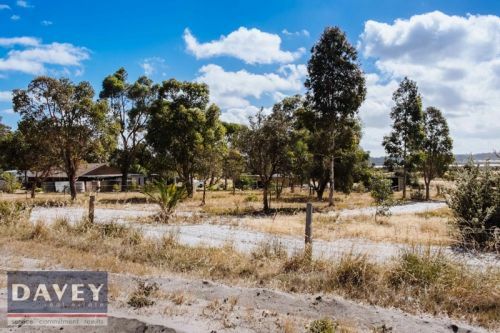 “I confirm that we engaged Sam Hedges of Davey Real Estate as the real estate representative to market and sell our residential properties in Kingsley, Greenwood and Hamersley. As the owners of a sizable real estate portfolio extending over many years we have gained extensive knowledge of the residential real estate industry. Having experienced Sam's work first hand, we found him to be an enthusiastic and qualified negotiator, displaying all the skills and knowledge required in his industry. Sam exhibited a positive attitude and expertise in all duties. He has proven that he was prepared and capable of researching and obtaining all the information required concerning our properties, liaising with potential buyers and ultimately closing the 'deal'. Thank you for your efforts in assisting us in the purchase of the Wanneroo house and the sale of our home in Woodvale. We were impressed by your fine attitude and persistence. As you know, my wife and I were not intending to sell our home when you first approached us. Your presentation and information on the sale of our property was very professional and helped us to understand the market and selling potential. We were then, through the purchase and sale, able to free up capital that we could use as float for the future. As a sales manager for many years, I can tell you, that only a professional sales approach would interest me, as a salesman needs to be sold! “I, Guy Wilson, employed the services of Sam Hedges to sell my block in October 2004. Immediately I found him to be friendly well-presented and very professional in every aspect regarding the sale of my block. I found no pressure was put on me at any time and his advice and his knowledge of real estate in the area was second to none. In no time he had many people interested in the block and in the end I had to choose between buyers as the full selling price of the block had been reached. “My husband and I purchased an investment property and had the pleasure of dealing with Sam Hedges. We would like to inform you that Sam proved to be very professional and made our purchase run smoothly. It was over the Christmas period and I was in hospital having a baby so to have Sam looking after everything just made life a lot easier. He was really helpful and always kept in touch with us either by phone or email. We would highly recommend Sam to our friends should they be in the market for a property in the future. “Just a note to let you know how impressed I have been with the professional services of Samuel Hedges. In January of 2004 I invited him to conduct an appraisal of my home with the view of placing the house on the market later that year. Samuel carried out this request, as did several other agents at the time. Samuel was the only agent who kept in touch throughout the year with the occasional telephone call to touch base. He was never intrusive and I was impressed with his commitment at the time. I again enlisted the services of Samuel to provide me with a current appraisal of my home and to place it on the market. Samuel was very realistic with his valuation, which accurately reflected current market trends for homes in my locality. I found that he was very knowledgeable and had a thorough understanding of comparable homes in the vicinity and what for what they were expected to sell. Samuel was always polite, considerate and punctual for our appointments. As you are no doubt aware, Samuel sold my house during the first home open and through negotiation with all interested purchasers he was able to obtain considerably more than my top asking price. He kept me well informed of all offers and advised me during the process as to which purchasers were most viable. Upon the sale of the house he carefully explained the contents of the paperwork so at each stage I knew exactly what was involved. I would have no hesitation in recommending Samuel to anyone who was considering selling or purchasing a property as I have found Samuel to be trustworthy, reliable and at all times professional. “I would like to take this opportunity to say thank you to Samuel Hedges for making the process of selling our property a 'stress free' and 'painless' experience. Throughout the entire process of selling our home Samuel was very approachable and did not hesitate to answer any questions or concerns we raised. He was always punctual, professional, kept us well informed of all the proceedings and it was his persistence that resulted in our home being placed under offer after the first weekend the home was open. “We are happy to recommend Sam Hedges, who was the agent who sold our duplex recently. Sam was very professional in his dealings with us, at the same time friendly and helpful. He kept us up to date with the sale and was always happy to answer any queries from us. “When we decided to sell our property we were particular in looking for an agent who was professional, honest and focused on the task, and also someone who was sensitive to our family issues. After careful consideration we selected Sam Hedges for the assignment. Knowing that Sam was achieving all our expectations for marketing our home made it easier for us to concentrate on other responsibilities during this period. “It has been with pleasure that we have had the opportunity to appoint Samuel Hedges, sales consultant with Davey Real Estate to become our exclusive selling agent for our property. Sam was very professional throughout the process, I have not dealt with previous real estate agents and he was happy to go through the process with me. Sam was able to get a deal done within a matter of days and we exceeded in the price we were able to obtain. I would recommend Sam to anyone who is looking for a real estate agent. We are so grateful for your help & support in helping James. I would like to say a big thank you for all of your hard work on my behalf. I would have a lot more grey hairs without your guidance & support. We wanted to write and say thank you so much for the brilliant effort you put into selling our house recently. We couldn't have asked for a faster turnaround or more professional and friendly service. Your open and honest communication is a highlight in an industry that has a dubious reputation, and we hope you can use this letter as a point of reference for future customers. We wouldn't hesitate to call on you again for our property needs in Perth. I am writing to express my gratitude to Mr Samuel Hedges, for assisting me to purchase my first home in September 2012. I would not hesitate to recommend Sam's services to any friends and family looking for a superb professional to deal with when purchasing property. With Sam it goes beyond professionalism and is more like deal with a friend. We would like to thank you for honouring your word and sending us the gift card. It was a difficult decision for us to contact you regarding our concerns, but now we are so glad we did as it’s such a pleasure to know there are still people out there who are genuine and you Sam are one of them. You made us feel comfortable and listened to us without making any judgements and for that we want to thank you. Sam was fantastic, from the first meeting we felt that our home was in safe hands his service was fantastic, we were kept in the loop at all times and if we left a message or email it was replied to it straight away and it felt good being able to leave all the details to the agents. We loved Sam, We went through 10 agents (not happy with one of them) before we met Sam. From the first moment we felt at ease, he was well presented, friendly, knew what he was talking about and made the selling process so easy for us. He responds to emails and calls strait away, kept us informed during the whole process and got the best deal for us. We would highly recommend you guys to anyone looking to sell their house. 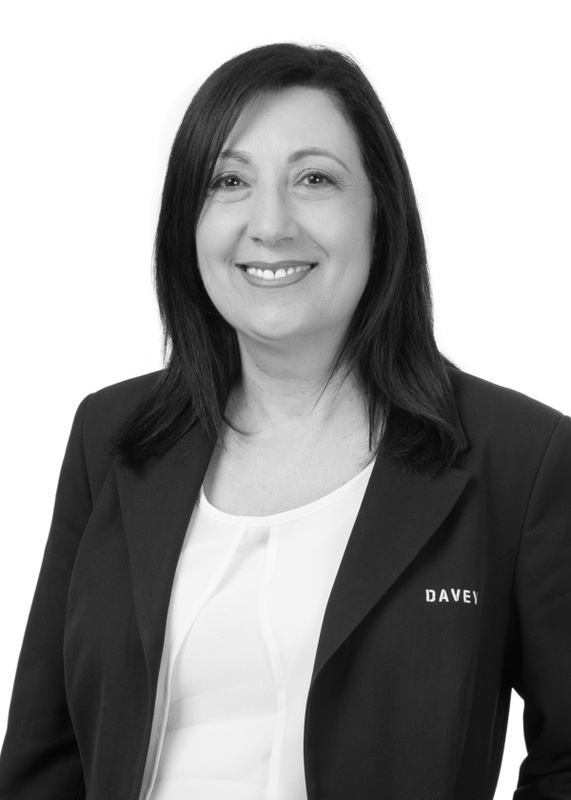 We highly recommend Sam Hedges and Davey Real Estate Wanneroo. Sam’s customer service was outstanding, his experience exceptional and the sales of our home was a smooth, stress free experience. We would like to personally thanks both Sam and Bree for their service, it is greatly appreciated. I would Like to thank Sam Hedges from Davey Real Estate for the exceptional service he provided me when my partner and I purchased our first home. He provided us with genuine care and a wealth of helpful information often above and beyond what we would have expected from someone in his position. We would (and already have) recommended him and his agency to friends and acquaintances in the real estate market and would seek out his services in the future if the need arose. "Apart from the exceptional service received during the sale of our house, Sam also assisted us with storage of our furniture within a secure lockup garage that he had access to. This service was provided free of charge for a period of 4 months and we offer unreservedly our nomination to Sam for the Exceptional Service Awards and would have no hesitation in recommending him to family and friends. All the best and good luck!" Sam took full ownership of all aspects of our house sale. 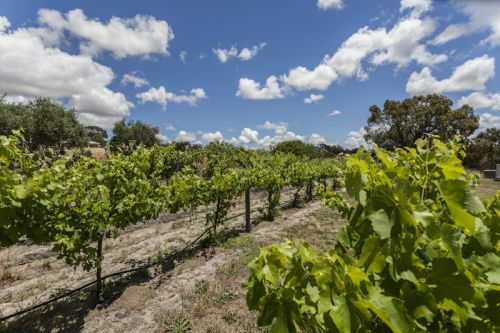 We had moved interstate before we sold our place in Perth, and did not have the luxury of a local presence to take care of all the aspects of getting a house prepped for sale. Sam went above and beyond without question and stepped in to fill the void. He assisted us in removing an old fence, getting in there with his tools and his own car and taking it to the tip. He helped us clear out the workshop in his own time, and really looked after us. An excellent example of customer focus and outstanding service. Sam really went out on a limb for me when I was selling my house. I had a terrible tenant who had left behind a huge unlicensed Mercedes bus and Toyota 4wd wrecking in my backyard plus various other items in the garage. I was a new mother to a 4month old baby at the time and to have Sam find potential buyers for these items and to also take the time from his weekend to meet them at the house for collection was a weight of my shoulders. He took the stress away and took control of the situation I was in. Was not expecting so much help from someone I had only met a month or so earlier. Can't thank him enough still to this day for all his help. Sam helped us with the purchase of our first home. He has always been honest and open with us and has made himself available all hours of the day and night. He has supported us through difficult dealings with the tenant of the house (even though not his tenant), personally coming and removing rubbish left at the premises, helping tracing down spare keys and remotes and personally replacing items for us. I would recommend Sam in a heartbeat and would really like to see him recognised for the hard work and integrity he has shown. Since we make an offer Sam has helped with everything. The sellers were hard people to deal with & Sam was the middle man he tried to work & help both sides to achieve the sale. He always kept in touch, he was awesome. After settlement the sellers left behind huge amounts of rubbish. Sam asked the sellers to remove the rubbish but due to their circumstances of poor health & finances they couldn't. Sam at his cost, hired a trailer and helped remove two very large trailers full of rubbish. The hire & tip fees are not cheap! We would like to say thank you for such great help during the buying process. We will use Sam again as we trust him & he is easy to work with. I met Sam 5 years prior to selling my house when he was one of three different agents I had through giving me evaluations. He always stood out as being very honest and direct which obviously stuck with me which is why I gave him a call when I finally made the decision to sell. I found the whole process terrifying but he walked me through and was always there, if not in person, on the phone to guide me through. Also he was my agent to help me find my new home so when he gave me the good news that he had achieved top dollar for my property, he arranged many viewings in my selected areas to find my new home. Unbelievably, he actually picked me up one day and we spent the whole day looking at properties that he had pre arranged for me to look at. During one of the inspections, he found out from one of the agents that she had a new property coming onto the market the following week and arranged for us to view the next day. This was the house that I fell in love with and by the end of the day Sam rang me and told me that my offer had been accepted! Unbeknown to me, I met and fell in love with my next door neighbour and we ended up selling his house and renting mine, or ours now and have bought a half acre home enabling us to have all the animals and garden that we both wanted. The other reason I am writing this is because I didn't take Sam on this journey only because Mick has a family member in real estate that handled the new transaction and that is when I truly missed his professionalism. Dealing with the agent that sold us our new home was the most arrogant, unprofessional person I have had to deal with and without the experience with Sam, I often wonder if I would have the same opinion of agents that most people have. I was blessed to have the experience with him and have and do recommend him to my colleagues, friends and family and he is currently assisting my best friend to find her first home. I believe Sam has gone over and above, he has sold our house for a good price and helped us find a new house also for a good price. He helped us with a short term rental of the new house (the sellers want to sell in July) by writing up the rental agreement and taking care of all the paper work required. Sam always returns phone calls and e-mails in a timely manner. Next time I need to buy or sell a house Sam will be my man. I speak on behalf of my parents who had an investment property and placed it on the market privately for three months. In that time we didn't receive one call. We then received a call from Sam asking if he could assist. He was well spoken and professional in every way. He suggested a few websites that could help with extra exposure which we seeked. At this stage it sounded just too hard so we contacted Sam for his help with selling the property. He immediately helped with exposure to the property that we desperately required. Within two weeks and two home opens Sam found a purchaser. Unfortunately this sale fell through due to finance. We were very disappointed but Sam reassured us he had another buyer. Of course we were not convinced but sure enough he was genuine. My parents were then advised by their Accountant they should not sell until the new financial year. This information was passed to Sam, we feared the worst, we would lose this potential purchaser. These clients were selling their property and needed a place to live. As our property was vacant Sam suggested that we offer the property as a sale but allow the new purchasers to rent until we could enter into a new contract of sale in the new financial year. Everyone agreed and were very happy. Sam again to the rescue drew up a lease agreement with settlement to be 27th July, 2016. We kept in close contact with Sam and he made sure that we were well informed throughout the weeks As soon as the 30th June 2016 passed, Sam got in contact, we met at his office to complete and sign a contract of sale with a settlement date of 15th July. Sam also gave suggestions of settlement agencies (Simeon Settlements, the service they provided has been as excellent as the service received from Sam. I am taking this time as Sam did to give him a pat on the back for exceptional professional and friendly service that we received with outstanding results. We would recommend Sam as there are not many reps that would give this kind of service. It would be great if you receive this reward as you definitely earned it in our eyes. Keep up the good work, keep that wonderful helping personality it suits you. 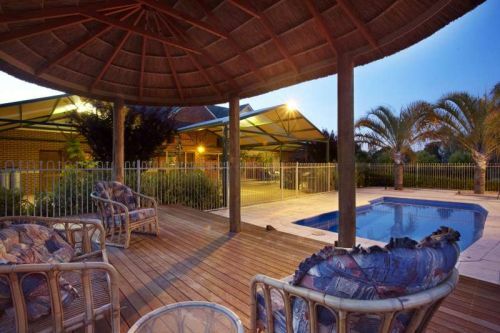 We had been looking for our First new home in Wanneroo and nearby suburbs from last few months. We came viewed property listed by Sam hedges and only after 2 viewings the house was SOLD!! When Buying a house it comes down to the owner being given a realistic valuation, and ensuring the agent you choose knows their stuff in which Sam hedges has done exceptional job and he is best agent in the market we came known. I must appreciate more importantly his service, support and advise after getting the keys and whole transaction has been completed he is the man still stands for any help which quality rarely exists with other people in this market. Sam hedges has showed integrity, respect and most of all he respects and understands your views and opinions and that is why we trusted and appreciated him working for us through the whole process. . My advice to anyone considering buying/selling your home is that they must feel comfortable with their agent choice. My Wife and I would have no hesitation in recommending Sam hedges to anyone in the future who is trying to decide between agents. Thanks & Congrats to Davey team to have person like Sam hedges on board!! 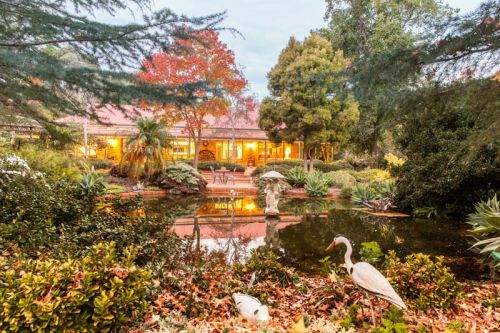 Samuel Hedges and Andrew Davey were both involved in the Auction of our property in Mullaloo. From the first contact and through to settlement, their advice to myself and my wife was sincere, thoughtful and certainly put our minds at rest, this being the first ever property that we have sold since marriage nearly 50 years ago. What we thought would be daunting and stressful was far from that with the professionalism shown by both gentlemen. Continual contact from Samuel kept us informed of every stage of the total process. Totally satisfied with Davey Real Estate. 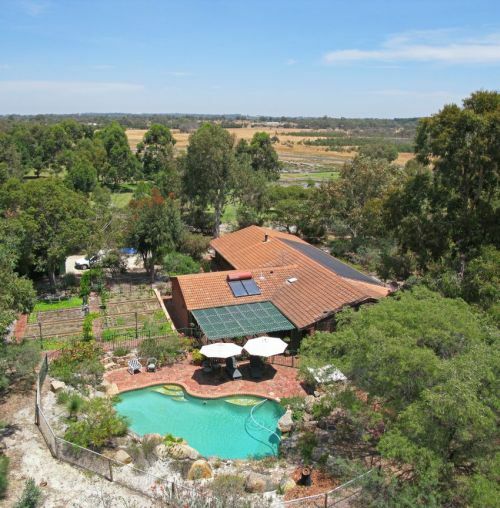 My husband and I employed three different realtors while selling our property in Padbury. After two disappointments Sam Hedges from Davey Real Estate Coastal, was recommended to us, and we engaged him for our property. We were thoroughly impressed with Sam’s approach to selling our property. From day one, he was transparent and honest in his dialogue to remove any hidden agenda. Sam went out of his way to balance the importance of our sale process while minimising the impact to the tenants. He was quick to advise on potential leads, and was highly communicative during negotiation with potential buyers. Sam was an advocate for our interests as owners, and was prepared to go the extra yard to close a deal. As owners of several investment properties, my husband and I are thoroughly impressed with Sam, and would happily engage him for any future property sales. "Sam Hedges was our real estate agent. In a difficult market like this to sell a house he was able to sell our house within 3 months. Not really the price we wanted, but that had nothing to do with Sam. Market is just not that good for selling at the moment. He organised more than enough open houses and did his best to get people interested, followed up with potential buyers. In the final negotiations he pushed as far as the buyers were possible to go." "We recently engaged Sam Hedges to sell our property. Sam is a very personable real estate agent with extensive knowledge of the market and he gave us an honest expectation of our property’s sale price in the current market. He was always pleasant to deal with, kept us informed throughout the process, and was happy to provide advice when needed. I would highly recommend Sam and his team for any seller or buyer for a seamless property sale." Me and my partner Adam sold our house in Marangaroo through Davey Real Estate. Mr Sam Hedges helped us during this exciting time. Sam went above and beyond to assist us in our sales. The For Sale sign went up straight after our initial meeting, Sam kept us posted and informed during the marketing and spent half a day with the buyer on a public holiday to negotiate the best price for our property. We can not thank Sam enough. Our house was sold within three weeks and it was the nicest quickest process. We highly recommend Davey Real Estate and Mr Hedges. Thank you! Grete and Adam. You were great and so helpful! 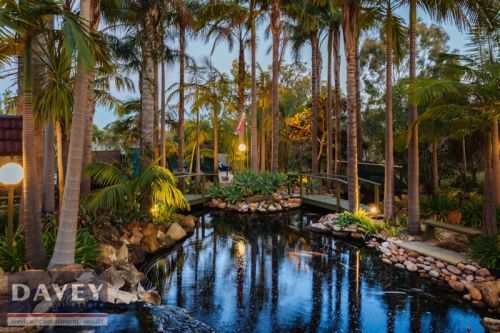 Our property on Wanneroo road was always going to be difficult to sell because of its location , Sam Hedges proved with out any doubt to be the right man for the job. He did everything we expected and more to get our house sold ,trying all manner of home open and advertising strategies . Professional, courteous and punctual would be an accurate description of his performance during the sale process . Sam was faultless in his communication with us in regards to every step of the process and did work very closely with us to achieve a result that worked for us . If you are selling your home and wish the same excellent experience we had with our agent I would without hesitation recommend Sam to you . Thank you Sam for all your efforts greatly appreciated by us both. Sam kept me very well informed throughout the whole process. The auction went very smoothly and resulted in achieving an over reserve value. Very professional service, I would highly recommend Sam to anyone wishing to sell their property. We bought our house recenty and dealt with real estate agent Sam Hedges, he was very friendly and helpful and kept us up to date with all aspects of the buying process and would regulary check in to see if we needed help.He was more helpful than our broker and settlement agent combined. He made it a smooth transaction for us first home buyers.When we recieved the keys to our new home,he gave us amazing gifts to celebrate. I recommend Sam to anyone buying or selling! Thank you for all your help and your communication through this process has been awesome! 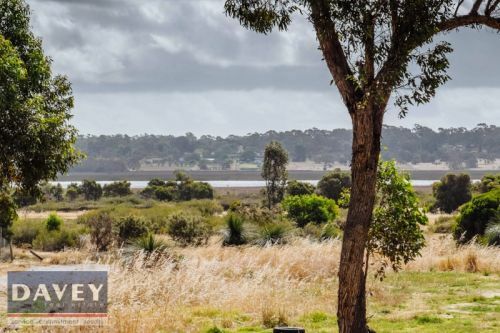 We had been looking for our first new home in Carramar and nearby suburbs from last few months and we fell in love with a property shown by Sam hedges. From our first contact, he has been extremely professional, friendly, patient, informative, honest and helpful. He kept us informed and gave us personal attention all throughout the process. We must also appreciate his care, support and advice after the settlement. We had some problems with the condition of the house for which he generously dedicated his time and resources to help. He even purchased, at his own cost, a fixture that was removed by the sellers. He was also able to advise us on the finer details and maintenance options for the property which we greatly appreciate. With Sam, it goes beyond professionalism and it is more like dealing with a friend. Next time we need to buy or sell a house, Sam will be our man and we would have no hesitation to recommend Davey Real Estate and Sam Hedges to anyone in the future who is trying to decide between agents. "Sam Hedges was amazing to deal with and I would recommend him to anyone seeking sale of their property. Living interstate never once did I feel uncomfortable or disappointed in Sam's approach to the sale of my property. 100% professional Sam Hedges was amazing to deal with and I would recommend him to anyone seeking sale of their property. Living interstate never once did I feel uncomfortable or disappointed in Sam's approach to the sale of my property. 100% professional and I was constantly kept up to date. What could have been an extremely stressful process was handled smoothly and stress free. Thank you to Sam and the Davey Team for your amazing efforts"
Sam contacted me with feedback after every open house which was really important and helpful. He is very friendly and reliable and listened to my requirements. "We would like to take this opportunity to thank you for your professional assistance in selling our home. It all happened very quickly in what was considered to be a slow market. We got more than we expected to get for the home and were very happy with the end result. Once again Sam, thanks for helping us realise our dream"
"We recently sold our family home with Sam Hedges. He was great! Sam's experience was clearly the difference in selling our property in such a bad selling market. He was accurate in his advice, guided us through everything and truly showed that he cared about our personal predicament. We had a few speed humps along the way but true to his word, Sam was able to help us navigate through everything and really help us move on. We're so grateful of his efforts during the sale but it didn't stop there. Even after settlement Sam personally went back to the house to remove some items that we had forgotten to pick. He simply didn't want to bother us. We appreciated that. We would highly recommend Sam Hedges to anyone thinking of selling their home"
“I just wanted to say how grateful we are for the help that Sam Hedges gave us through the purchasing process for our new home in Wanneroo. Sam was great, he was always available whenever I needed him. We had so many questions and concerns but he was able to answer them with ease. The purchasing process was a difficult one given he was dealing with a bank. However he made it easier for us with great communication. He kept us so well informed throughout the whole deal. Thanks to the team at Davey Real Estate, especially Sam – we would highly recommend him and your firm”. Looking for A Huge Block? Buying In Greenwood and surrounds - Email Us NOW!! We have more properties for you to view.